Rising eerily from the frozen landscape, these strange shapes look like something from a science-fiction film. 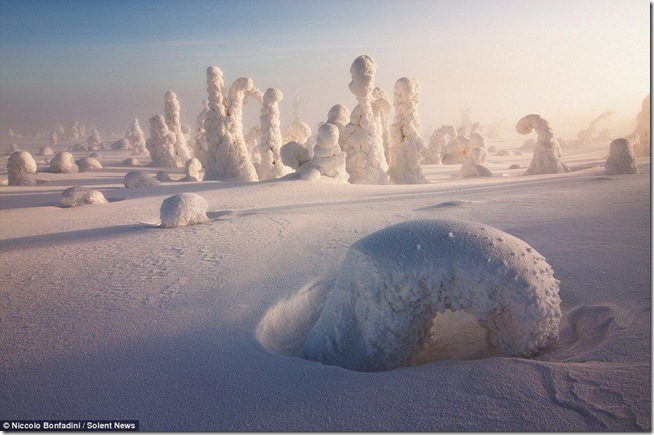 But they are here on Earth, frost-covered trees located close to the Arctic Circle, where temperatures can drop as low as -40C. In the dramatic sub-zero conditions, the snow and frost become so thick that everything is covered in a thick blanket.